We are your trusted insurance brokers. We offer the most qualified consulting in personal and business insurance matters. We provide consulting for every phase of the insurance policy management process. 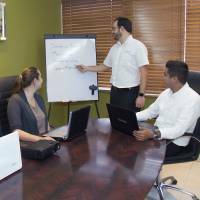 We design from the most simple Personal plan to the most specific protection for specialized industries and local and international businesses. 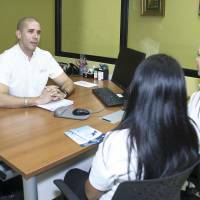 Grupo SEDE offers all kinds of insurance solutions for both individuals and companies. We analyze risk according to our client’s needs and considering the industry in which they operate. This service is recommended in order for companies to fulfill their compliance with local and international norms. We offer consulting in order to program risk prevention actions considering the nature of each company’s activities and functions. Our team designs training plans to increase our client’s employee’s capacity to prevent risks and professional liabilities. We provide information to maintain health and prevent accidents, creating bespoke solutions that take into account every requirement a company has at all of its professional levels. We strive to provide added value to our client’s plans. Health Fairs are a good example: we offer activities such as cancer prevention talks, relaxing massages, healthy food, yoga and many other options for our Collective Health clients.